Google AdWords has been around since 2000, and it has remained one of the best avenues of PPC advertising on the Internet. It first launched back when Google was only handling about 20 million searches every day, and it’s still going strong now that there are billions of daily searches. A savvy advertiser can double their return on AdWords, but only if they know how to play the game and get the most out of the platform. That can be tricky. Advertising is all about speculation and determining what works and what doesn’t, and advertising on AdWords is no different. 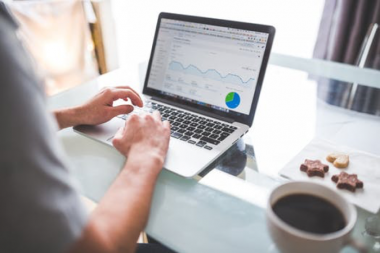 Fortunately, there is one metric that you can follow that may not guarantee instant success for your campaign, but it will make it more likely to receive a good return on your investment. It is known as your AdWords quality score, and we’re going to tell you how you can improve it. What Does an AdWords Quality Score Mean? 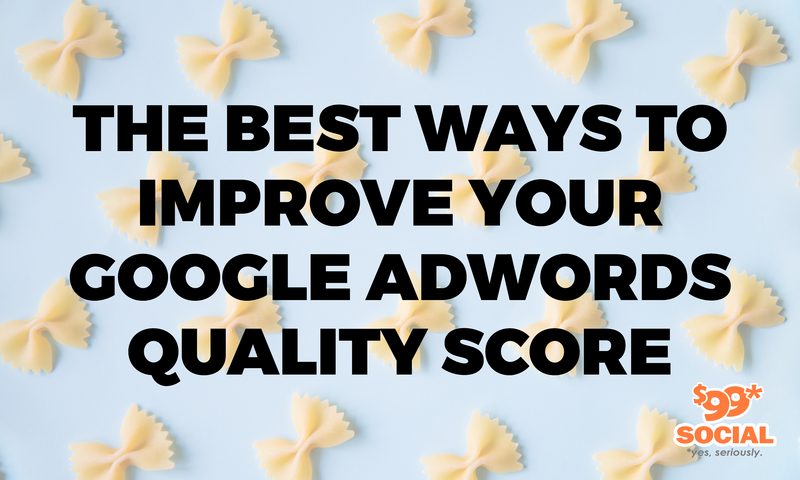 Quality scores are often seen as the most important things that any advertiser can improve in their marketing campaign, and it does take an in-depth knowledge of AdWords to really make the most out of it. Basically, your AdWords quality score is an estimate to how relevant your keywords, ads, and landing pages are to those who see your ads. A higher quality score often guarantees better positions for your ads and lower costs for paid page rankings. To get a quality score, AdWords takes into account the ads, landing pages, and keywords that are being used in your campaign. These factors are all analyzed for relevance, and a score is generated by AdWords. The two biggest factors that seem to determine one’s quality score are landing page experience and the click-through rate. Your quality score is a big factor when Google determines your ad rank, which refers to your position on paid search results. Some people try to improve their ad rank simply by paying more money, but while that can improve one’s ad rank, someone with a higher quality score might still rank above them, and they might be doing it by paying half of the amount of money that you’re paying per click. A higher AdWords quality score essentially translates into more traffic for less money. You might not necessarily have a better or more user-friendly website than your competition, but it will mean that your content is well optimized and that Google sees you and your content as more trustworthy. Now that we’ve covered what an Adword quality score means, let’s talk about how you can improve your own score. Your quality score is dependent on your expected click-through rate and your landing page experience. People should want to click through your ads to get to a relevant landing page, which will mean being as transparent as possible. If someone sees an ad for a specific product or even a product category, they should click that ad and be taken to a page about that product. This is known as message match, which is a measure of how well your landing page copy matches the phrasing of the ad or link that brought people to the page. That should all sound obvious. After all, who wants to spend extra time searching for a product that they want when all they should have to do is click one seemingly relevant link? Sadly, the Internet is a tricky beast, and it isn’t uncommon for links to take users to completely irrelevant landing pages. When people encounter such a poor message match, they are likely to give up on their search and move on to something else. The concept of message match isn’t difficult, but it can take some time to ensure that all of a company’s landing pages match the ads that take users to them. It is well worth your time to have this done, however; good message match can produce conversion rate lifts of over 212 percent. 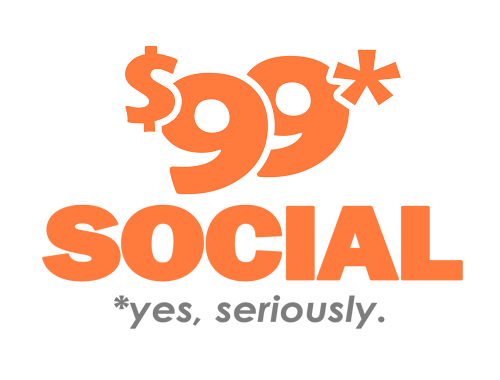 Conventional wisdom would have you believe that you will need between 10 and 20 keywords in an ad group, but this is hardly cost-effective. It just isn’t possible to come up with one landing page that remains relevant to that many keywords, but it is possible to have an entire ad group that can be tied to a single keyword. Instead of having several ads or links that each goes to its own landing page, a single keyword ad group relies on one keyword or phrase that can be linked to several landing pages. This technique allows you to create experiences that are specific to a user’s expectations. It ultimately involves less work on your part and less money spent, but it will ultimately improve your quality score. 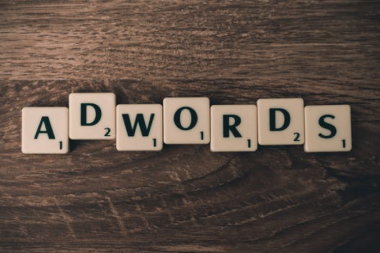 Traditional Google AdWords ads are very limited in space, and fitting in all of your relevant keywords in one can be a big hassle. On the other hand, AdWords also allows for expanded text ads that give you three fields of text instead of just one. One of these fields is optional if you don’t think you will need that much space, but it still gives you much more room to work. You will have two headline fields and one description field, all of which can be used to go to landing pages and improve your quality score. As with all advertising campaigns, you will need to do some experimentation to see what works and what doesn’t when you use AdWords. Since you have a handy quality score that will gauge your campaign’s effectiveness, you should be able to either tweak or completely overhaul it. Keep in mind that things are always changing when it comes to Google and social media, so you should never just sit on the ads that you already have. Pay close attention to your quality score, and never hesitate to make changes and updates whenever you think it’s necessary. It might take some time and effort, but you will end up with an effective advertising campaign and a high ad rank if you play all of your cards right.